This impeccable open ranch layout is great for entertaining. Kitchen comes with stainless steel appliances, granite counters and very generous walk-in pantry. Hardwoods throughout main level except the bedrooms. This 4 bedroom ranch gives you plenty of room for guests or hobbies. All landscape is completed for you including irrigation. This home has a south facing front and has a low maintenance yard with no rear neighbor. 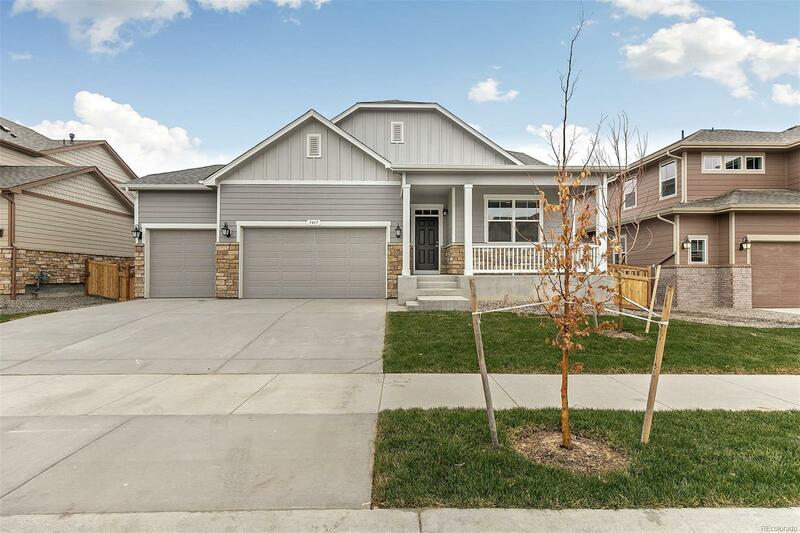 Brighton Crossing includes a private pool, community recreation center, parks and is close to lots of shopping. Easy access to I-76 for Denver commuters and only 22 minutes to DIA. Builder 2-10 Limited Warranty.